Incitation: We understand that things like health, wealth, and time are all important. But we give special treatment to certain aspects over the others even though we know better… Why? 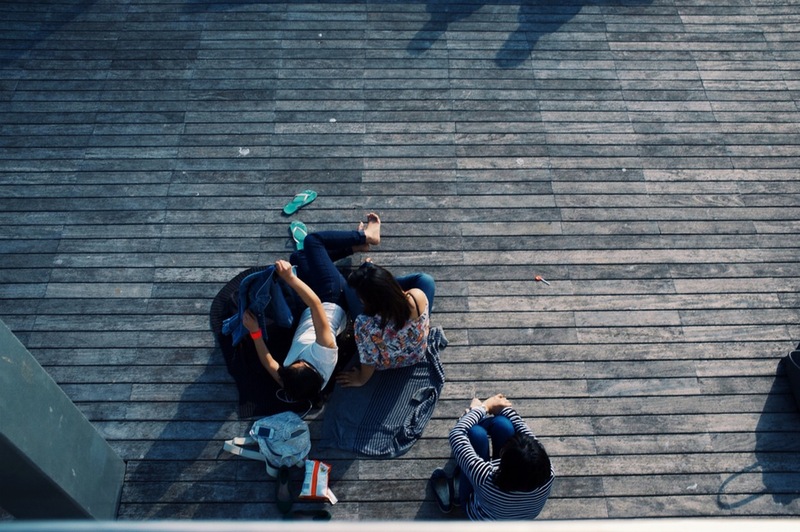 Is it social pressure or is it lack of perspective? Quiddity: The balance between health, wealth, and time is created by the meaning and value you give to each of these. When we daydream, why do we usually catalyze the dream with a variation of the question: what would I do if I had ten million dollars? Why don’t we ask: what would I do if I were going to live for 150 years? or… What would I do if I had perfect mental, physical, social, and spiritual health? Are these not priorities or have we simply been trained to think that money will solve these other problems? Most realists would agree that while money shouldn’t consume your every thoughts, it is an important tool for power, security, leverage, and freedom. What you’d do with a lot of it, is simply an amplification of what you already do with what you have. If you’re a generous person, you’d continue to be generous; if you’re selfish, then you’d continue to be selfish. Yet, I’m not here to debate the merits of wealth, or the good or evil of money. The real currency is time. What does that even mean? It seems to make sense on the surface, yet in practicality, we tend to brush over this truth. Why? I offer that it’s because we need to go and get money, whereas time is a given (to the extent that while we can still ponder it, we have it). But if we don’t have money, then what sort of quality will our time have? It’s a conundrum for sure. But in my mind, I always refer back to my piece on the Death Clock. And this is because ten million dollars is all relative to time (the ultimate currency). If someone were to offer me ten million dollars with the caveat that this was the only money I’d ever receive for the rest of my life (no interest), and by receiving, I’d live one month less… I think I’d be okay with that. I could justify that I would live frugally in expenses yet richly in experiences and that by having time to spend on my health, I could in fact live past that one-month-debt without question. But what if I was given ten million dollars and told I would live for ten million years? Quite obviously, the money would have almost no value to me then. At one dollar per day, perhaps I’d be a poor man with poor quality time. Or, what if I was given the money and told I had a year to live? I can imagine that I’d give a lot of it away, travel with my family, and spend it on experiences rather than things. I’d be a rich man in the best way, and with the best of intentions. Finally, what if I was given the money and told I had five weeks to live, then less the month-for-the-money, it was one week? The money would have no value to me. The things I’d want to do in that week wouldn’t require any of it. Similarly, if someone offered me ten thousand dollars per year to work forty hours per week, I’d decline the offer without question. But, if the same person offered me ten thousand dollars per year for a project that took only two hours per year to complete, you can bet that I would accept graciously. 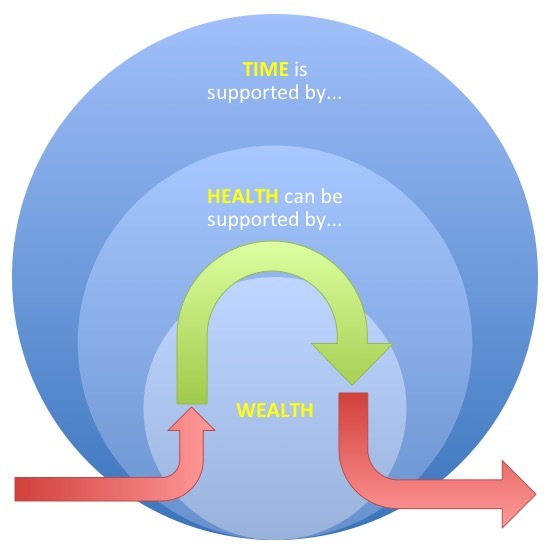 … And this thinking has become my mental model for the balance of wealth, health, and time. Time is not just one of the priorities, but the priority. Inside time is health, which creates quality time. Inside health is wealth, which creates freedom, options, and power-for-good. And wealth is only important relative to time itself. Too much required to be used in a short period of time is worthless. Too much required to be used in a long period of time is also worthless. But the right balance of money, time, and health creates a sweet-spot.